Eagle3D, POVray, Google SketchUp and SU2POV! Eh? Lost? 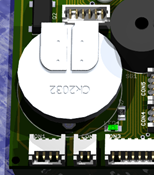 Time to shed some light on one of those secret tools in my little electronics toolbox: Eagle3D! If you are like me, using Cadsoft’s awesome (and free) layout and schematics tool Eagle and want good-looking pictures of your latest design, then you should probably heave a look at another free little tool designed to work on Eagle layouts to generate a 3D ray-traced rendering of your boards. The tool or rather script is called Eagle3D and can be found here. No why is this worth writing about? 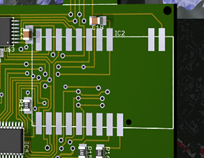 First of all because it’s an astonishing tool creating absolutely realistic images of your board before you even think about manufacturing and soldering it. But secondly, because Eagle3D is not the type of tool with funny, colored icons in a nice little toolbar where you just click one of those icons and your rendering is done. Unfortunately, using it as it comes out of the box, you’ll probably end up with only half of the parts on your board being rendered correctly or rendered at all. To see the rest of you parts on the board, there’s no way around some fine tuning of the Eagle3D scripts (or even some CAD construction work to build custom parts). 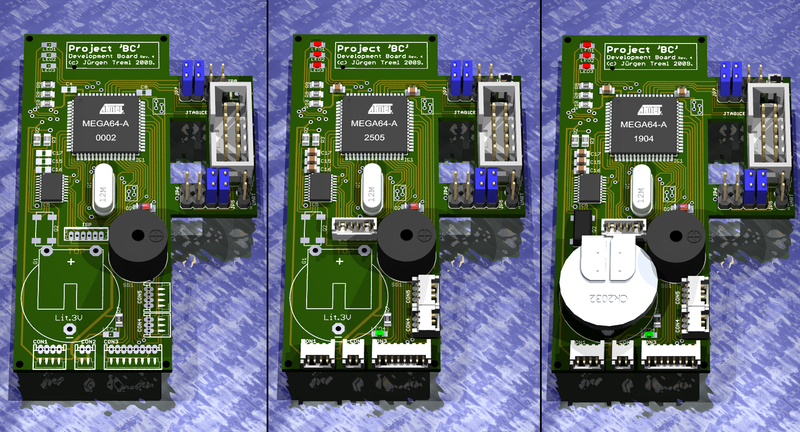 Below is an image of one of my boards at various stages, rendered with the out-of-the box version of Eagle3D, rendered after editing some of the Eagle3D scripts and finally, rendered after construction and adding some custom parts with Google SketchUp. Go here and download Eagle3D AS WELL AS the archive containing all the parts included with Eagle3D as images. You’re gonna need the latter one later on for lookup purposes. Get the latest POVray version here. Once you hit Open a settings dialog appears. You can basically leave the default settings as they are, just remember the path that’s shown on the first page where Eagle3D stores the povray file. After the POVray file has been created, open it with POVray and hit Run to render your board. At this point I’d like to point you to this site here and this one for a detailed description of Eagle3D’s features and further instruction on its basic usage. Eagle3D parts are all described by macros written in POVray’s scripting language and you can find them in the povray subfolder in your Eagle3D directory. These macros are named different from the Eagle part / package names, which is why there are two files 3dpack.dat and 3dusrpac.dat in the ulp subfolder of the Eagle3D directory in which you can find the mapping between Eagle package names and Eagle3D part macros. There is no or a wrong mapping in the 3dpack.dat or 3dusrpac.dat file between some of your parts in Eagle and the Eagle3D macro BUT such a part EXISTS in the Eagle3D image library. BUT I browse through the image archive I’ve downloaded before from the Eagle3D website and I see, that there is in fact an image of the connector I’m looking for, named CON_MOLEX_53048_4.png. This line tells me that the Eagle package with the name NOEAGLEPAC is mapped to the Eagle3D POVray macro CON_MOLEX_53048_4. This way, you tell Eagle3D to map your Eagle package 53048-04 to the CON_MOLEX_53048_4. If a part is actually rendered but misplaced or flipped, rotated, etc. you can edit the mapping above and change the 13th to 16th ‘0’ digits to correct the rotation angle and x-, y-, z-offset of your part, e.g. There is no mapping in the the 3dpack.dat or 3dusrpac.dat file between some of your parts in Eagle and the Eagle3D macro AND such a part DOES NOT EXIST in the Eagle3D image library. similar to the connector I need, BUT I need an 8-pin version which doesn’t exist in Eagle3D. Look for the Eagle3D macro for these connectors, to be found in the connectors.inc file in the povray sub-directory. As you can see, these lines describe a 6-pin, a 10-pin, a 14-pin and a 16-pin version of the above connector AND more importantly, they all just call another macro named CON_DIS_WS_XX_G_GRNDGRND with the number of desired pins passed to in brackets. 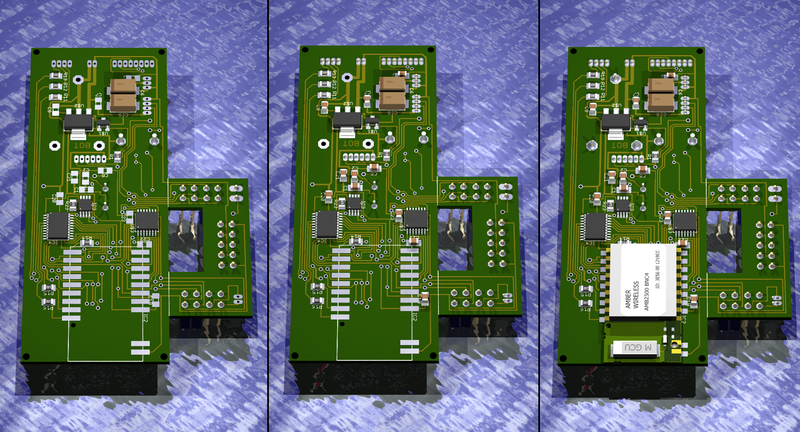 Render your board again and you should now see your 8-pin connector! This does not only work for connectors as used in this example. 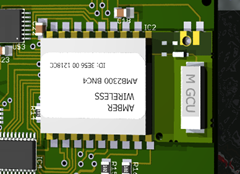 In fact, many of the Eagle3D parts, especially ICs are implemented as specific macros that then call a generic macro to which they pass the number of e.g. pins as a parameter. So you can easily add a similar part with fewer or more pins for example. There is no guarantee that this does always work as it depends on how the generic macro is implemented but fact is, in many cases it works! AND there is nothing even remotely similar to be found in the Eagle3D image library. You can manually write a povray macro to draw your part. This option receives a straight ‘zero’ though on the intuitivity scale and is extremely time consuming. I’d only recommend that for very simple parts. If you still wanna go there, have a look at this site here and the pages linked here. Design your component / part in Google SketchUp and have SU2POV export it to povray format which can then be included in your Eagle3D design. Don’t underestimate the time needed for this approach! But especially for more complex parts this is way easier than approach number one! When this idea came to my mind, I did a quick Google search and it turned out someone has had this idea before. So instead of writing detailed instructions on how to export SketchUp designs to povray and include them in Eagle3D, I’d like to point you to this tutorial which does a pretty good job in explaining the whole process. I’ve used this method to design the Amber BlueNiceCom IV mentioned above as well as a CR 2032 battery among others. You can find these and other Eagle3D components I’ve done in Google SketchUp at Google’s 3D Warehouse here. This is a very nice example of how Eagle 3d works. I have not been able to get it working though. I tried a part that I drew a few weeks ago to no avail, and then I remembered this tutorial when I needed a CR2032 Battery holder. I tried following the tutorial using your Google sketch, but was unsuccessful. Is there any chance that you could post or mail me your .inc file for this part so I can see where I am going wrong? Thank you! I was getting all kinds of errors following a different tutorial. Yours was very concise and to the point. Hello Sincerely, please if you’ve got the files of 3D eagle and the libraries could please upload them to a server, I had them installed on my computer but I had to format the drive and lost files, homepage no longer works if you can help me thank you very much in advance.